Girls love to do their nails and with this manicure and pedicure kit with scented stickers, peel-off nail polish and more. 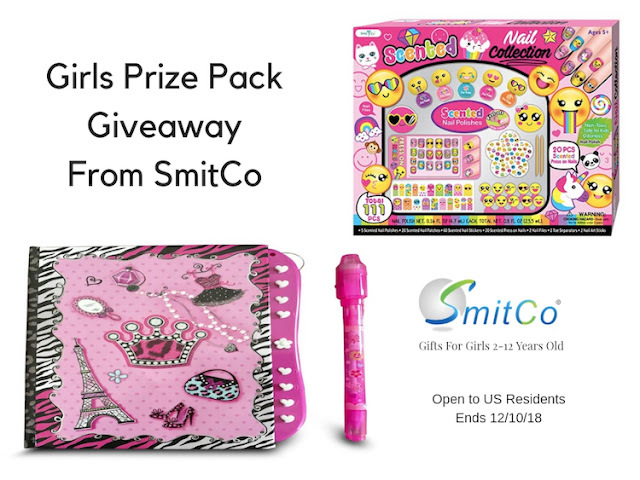 This girls nail spa gift set is perfect for girls ages 5-10 Years old. 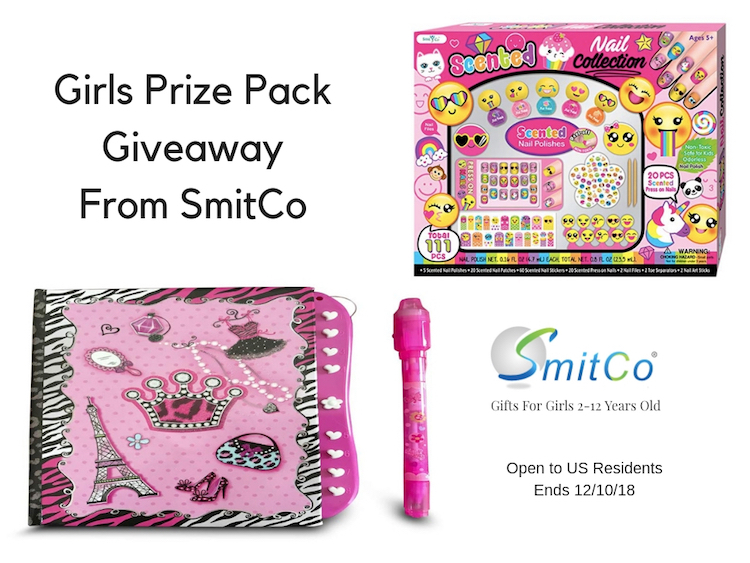 Unlike more expensive sets with fewer pieces and stickers that won’t stick, this set will provide hours of craft fun and entertainment for a sleepover, birthday or slumber party for little or young girls, tweens or teens. 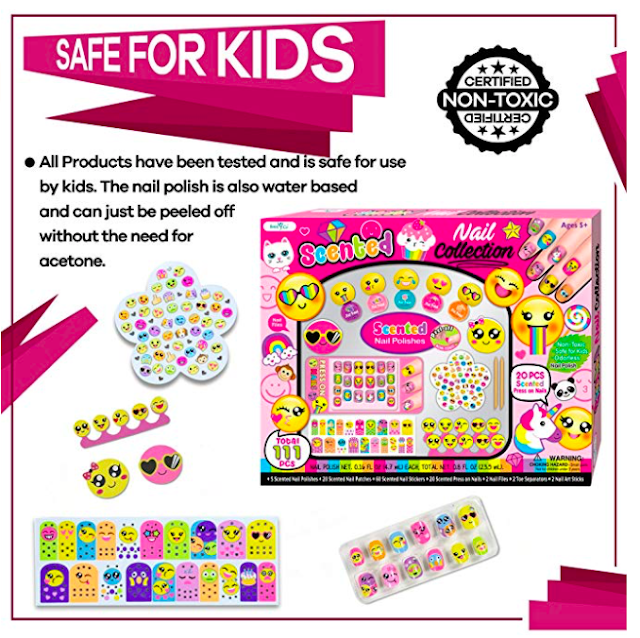 This kit has 111 pieces in this nail art set for manicure and pedicures.